This is a crockpot meal – excellent for those cold wintery days. In Texas, our coldest down here is maybe in the 20s. Last night it got down to 50 – and has been in the 70s during the day – in November! Overall, the Fall has been wet/warm. Predicting a wet Winter. Anyways – my biological clock must have pre-prepped for this cold snap because I was in a mood for some good hearty mock “baked beans” and pulled pork sandwiches. I always just “wing” meals – so there isn’t a vey specific recipe – but it came out excellent! In a crockpot, put a pork piece in the bottom. Add 3/4 to the whole container of sauce on top of the meat (depending on taste). Slice onions and add in (use as many as you want for taste). Add beef broth and water. 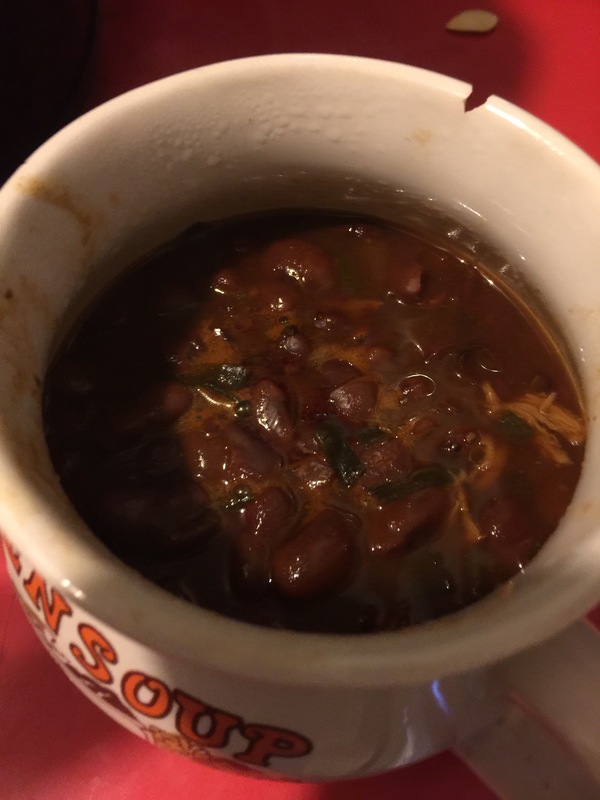 Add as many red beans as you like – but make sure to leave enough liquid space for their expansion once cooked. Set to high and cook until beans are tender and pork comes apart easily. Check on water levels and add water if necessary; 6-8 hours cook time. Once to the tenderness of your liking, take out pork and pull apart. Make into sandwiches with mayo and pour sauce from the pot onto the sandwich. Eat beans as the side dish. OR – eat together for a mock “baked beans and pork”!